IP Man: The Final Fight tells of Grandmaster IP Man’s years in Hong Kong, from 1949 until the early 70s. Unlike the popular Donnie Yen films, this movie is more of a character study about the man and how he interacted with his various neighbours, loved ones and enemies throughout his time in Hong Kong. Hence don’t go expecting an all-out action fest of a film. Having said that, IP Man: The Final Fight still delivers a few well-choreographed fight sequences to keep martial arts fans happy too. 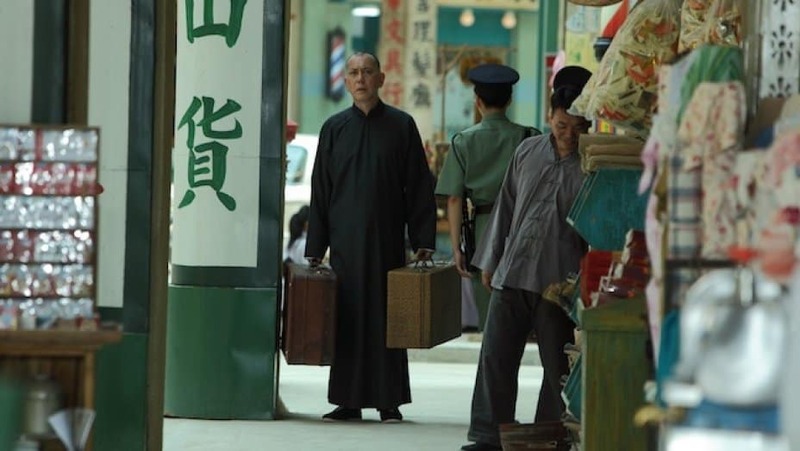 The film kicks off with IP Man (Anthony Wong) arriving in Hong Kong and finding a place to stay, namely a shared roof top apartment where he later teaches his first wave of Wing Chun students. 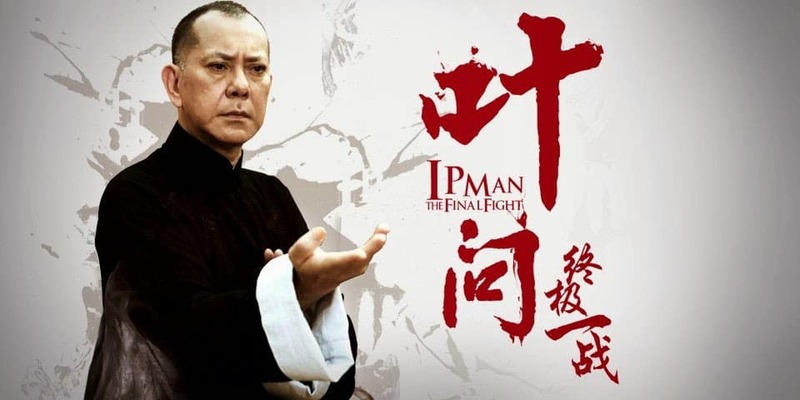 We’re introduced to several of these disciples and it’s often their activities that lead IP Man into conflicts with others; conflicts that helped create the legend that he has subsequently become. 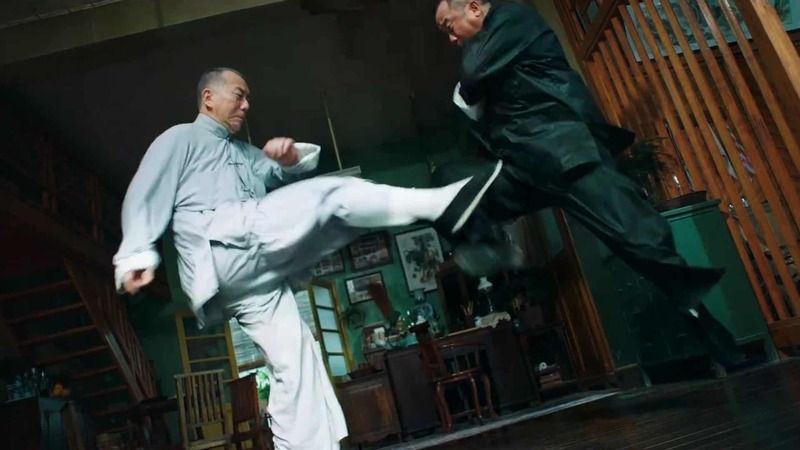 We witness the arrival and departure of IP Man’s wife from Foshan, (where he came from), his relationship with another woman he saved from a beating at a nightclub, and his growing friendship with another grandmaster of kung-fu, Master Ng. And, finally, we’re presented with his final epic fight against a local Triad boss, Dragon, who was the crime king-pin of an out-of-bounds (to the cops) area of Hong Kong, known locally as ‘The Walled City’. In fact, there’s tons of stuff in here and it’s surprising that director Herman Yau has managed to squeeze it in so efficiently. In some ways, it might have been better just focusing on one or two of these key events rather than Yau trying to fit so much in. The result is somewhat episodic, which can be somewhat detrimental to the flow of the broader tale being told, and to the film’s pacing, as a whole. The filmmakers have done an incredible job building a multi-period Hong Kong; the attention to detail is phenomenal and the set designer should have been rewarded with many awards, in my opinion. In fact, everything about the technical aspects of the film are excellent, which just goes to show how far China has come with its film making over the years since the early days of Golden Harvest’s or Run Run Shaw’s often ropey ‘chop-socky’ productions. Obviously, a lot more money is spent on Chinese productions these days! IP Man: The Final Fight is nicely shot and only a little vanilla CGI spoilt the overall look. I did, however, find the sound levels rather high. The normal dialogue sections were fine, but at soon as any action kicked off (pun intended) then I had to quickly drop my volume levels significantly to prevent the early onset of deafness! 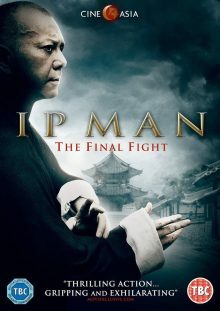 Fight highlights include the indoor fight between Ip Man and Master Ng, which culminates in the rescue of a bag of fruit and reputedly took 10 hours to shoot, and the final battle between Dragon with his cohorts and Ip Man and his pupils. There are also some decent, but less notable skirmishes dotted throughout the film’s relatively brief running time. Probably the most colourful and unusual action scene revolves around a lion dance, and it sounds like a fair few bruises were collected during its filming! Overall I enjoyed the film and found it interesting, although as a martial arts fan I felt a little bit short-changed. Hence if you’re more into your drama and character pieces add another half star to my final score. 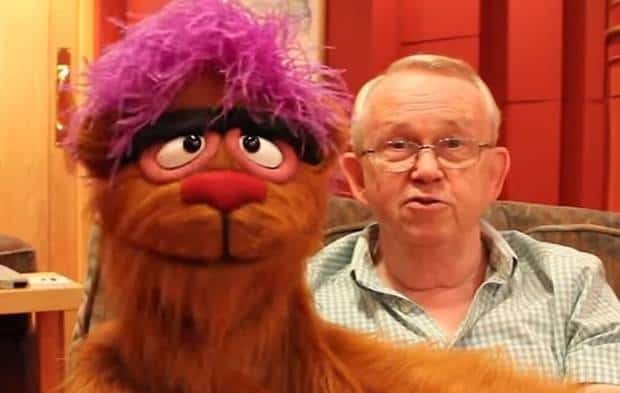 A making of documentary (9.5 mins), which is really several PR puff pieces sewn together to make something a bit meatier. It’s worth a look, but not great. Interviews with many of the main cast and the director (21.5 mins) – this featurette is much more satisfying and informative. Trailer (1.42 mins) – this, rather inaccurately, makes the film look like wall-to-wall action.